Just have a quick question, how did you get into fashion illustration? 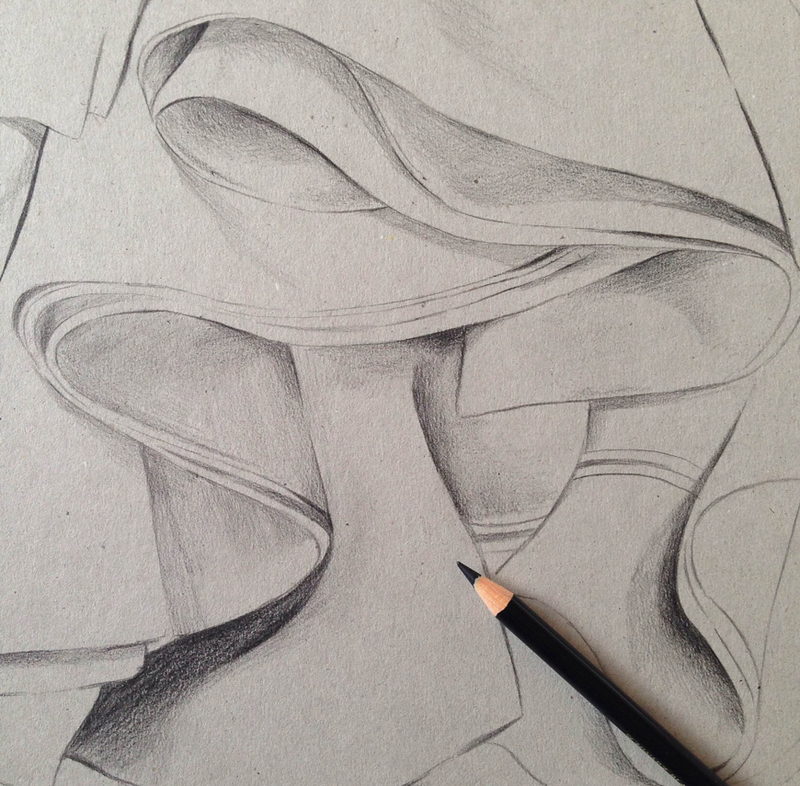 I have done a Cert IV and find the drawing side very interesting also the designing of the garments. Thanks for your question Carol! I didn't do any specific fashion illustration related study, like most girls I have always been a fashion fan so it was natural that some of my illustrations would end up following in that direction. I really enjoy drawing fabrics and folds and also previously worked for MAC cosmetics so that influences my work a lot in regards to my colouring and the way I focus on makeup. Having a good amount of fashion related work in my folio and on my website was probably the main thing that helped me get fashion related clients. The main thing is to find your own style and then build a body of work in that style - clients want to see continuity so they can safely predict what they could get if they hire you. It is always a bit slow to start, but you need to do a lot of personal work and self promotion, all you need is one client to start, work well for them, do good work and then from there the word of mouth begins. If you have a question you would like me to talk about, leave a comment below and I'll dedicate a post. Just Ask #9 - How Did You Get In To Fashion Illustration?